In 1993 Alan Lomax published his book The Land Where the Blues Began, to great popular and critical acclaim. The book told the story of his collecting adventures in the Mississippi Delta fifty years earlier, “discovering” and recording artists such as Son House, Muddy Waters, and David “Honeyboy” Edwards. In their co-edited book Lost Delta Found: Rediscovering the Fisk University-Library of Congress Coahoma County Study, 1941-1942, Robert Gordon and Bruce Nemerov detail the larger picture of the same collecting trips made by Lomax in the early 1940s by including the equally large contributions of Fisk University scholars (a collaboration which was almost completely obfuscated in The Land Where the Blues Began) and paying particular attention to the work of John Wesley Work, III. 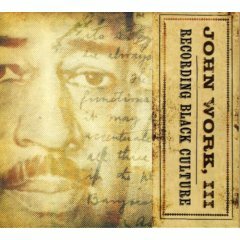 With the release of the CD John Work, III: Recording Black Culture, we now have the music to match the text of Lost Delta Found (through it’s not a companion piece), along with greater evidence of the variety of black musical culture in the early part of the twentieth century. Recording Black Culture separates its14 tracks into six categories: Social Songs (fiddle and banjo tunes), The Quartets, Work Song, Congregational Singing, Blues, and Colored Sacred Harp (shape note congregational singing). On display here are both secular and sacred musics, though the liner notes indicate Work was mostly interested in secular “folk” musics. 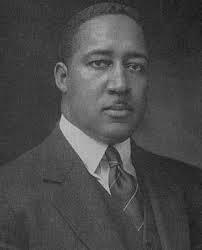 The wide range of music that is offered was almost entirely recorded before Work and his Fisk colleagues joined forces with Lomax and the Library of Congress for the trip to the delta. Work’s recordings were done in and around Nashville Tennessee, South Carolina, Alabama, and Mississippi. Many of the recordings have poor fidelity (even for historical recordings) and lend some insight as to why Fisk may have contacted the Library of Congress about a joint venture into the Delta: they wanted the more sophisticated equipment used by Lomax. In this regard Work was right, the tracks that surfaced later in Lomax’s collections are much higher in fidelity (e.g., The Land Where the Blues Began Rounder CD) and Work’s recordings are surely more interesting to a scholar than to most casual listeners. Of the highest fidelity and given five tracks on the compilation are songs of The Quartets, including, with an egalitarian sprite, the Holloway High School Quartet, The Fairfield Four, The Heavenly Gate Quartet (a group of Work’s friends who sang together), and two unnamed groups. Here we have vocal harmony groups singing religious music in jubilee style with tight vocal parts and pulsating rhythms. The intimate sound of the quartets, specifically on the two tracks of the Heavenly Gate Quartet, provide great examples of vernacular presentations of popular stylings of the day, including “If I Had My Way.” Other tracks on the album, such as the congregational version of “Amazing Grace,” are harder to hear and are best left for academic scrutiny rather than pleasure listening. Many of these recordings are of particular interest because of their rarity; for example, the only known recording of blues street musician Joe Holmes singing “Ain’t Gonna Drink No Mo’,” as well as the ulta-rare recordings of fiddle and banjo players Ned Frazier and Frank Patterson that lead off the compilation.